The rise of the Tudor Dynasty! Perfect for fans of Conn Iggulden, Robyn Young, Alison Weir and Anthony Riches. In the prophecies of the Welsh bards, young Henry Tudor is the legendary King who will lead them to deliverance. And bring the treacherous Wars of the Roses to an end. The sense of his destiny haunts him as his boyhood is spent being helplessly shuttled between his Yorkist and Lancastrian guardians and in friendless exile in Brittany. When his supporters in England urge him to release them from the tyranny of Richard III, he returns to conquer not only Richard’s troops at Bosworth Field but also the heart of the beautiful Elizabeth of York … and fulfil the prophecy that the white rose and the red would be united under one crown. 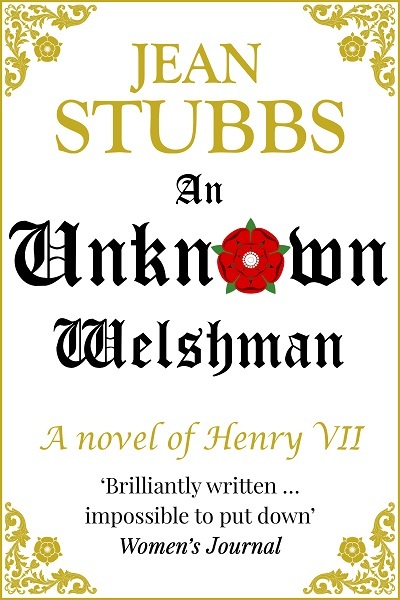 An Unknown Welshman by Jean Stubbs is a thrilling fictionalised biography of Henry VII, the first Tudor King.